No has iniciado tu sesión. Frankfurt has an extensive network of public transport. With a public transport ticket you may use the different kinds of vehicles. 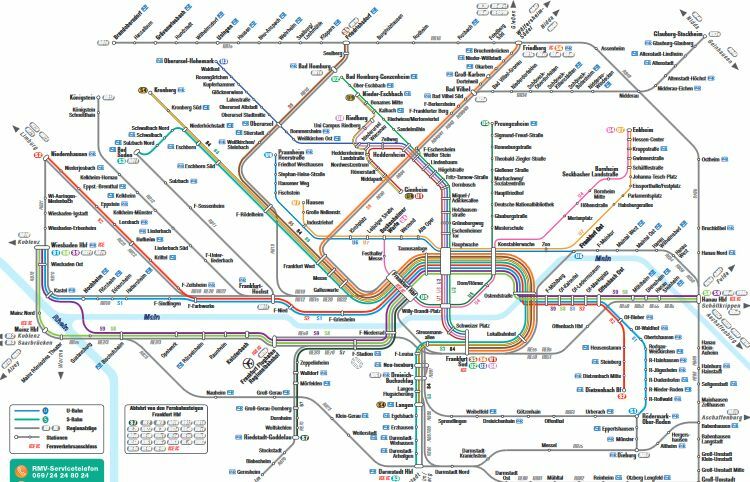 You can combine S-Bahn and U-Bahn or take the bus to the next Tram-station or you use all 4 to explore Frankfurt. If it takes too long for you, of course you could take one of many cabs in Frankfurt. Or you rent a bike and enjoy the sunny side of Frankfurt. Between the stations you could have a look at the sights of Frankfurt, like this you get to know the city better. You could take part in one of the car-sharing programs Frankfurt has on offer, if you want to explore the city and its sights by car. Or maybe you want to take one of Frankfurt’s ferries to see the city from the water.